Hi friends! I had to take another mini break from posting updates. We've been making items like the dickens to fulfill wholesale orders that we received at the Seattle Gift Show! We will proudly share the names of our newest stockists as soon as our shipments head out to them. The Seattle Gift Show was our first tradeshow experience. We went in "green" not knowing what to expect and it turned out to be a fun event. We had great neighbors that we're calling friends now and made some great local connections. It was great being commended for just being a local company! In other news; I know I've been promising this one for a bit... and starting today you can pick up your very own Hello My Name Is - name tags! Let everyone know when you walk into a meeting that you are Awesome or Trouble! Readymade available names are: Awesome, Bigfoot, Trouble and my personal favorite , Yo Mama. You can even customize one with your real name or whatever you'd like. But be warned you'll want to smell the name tag. That's right, smell it! Because laser cut wood smells awesome. 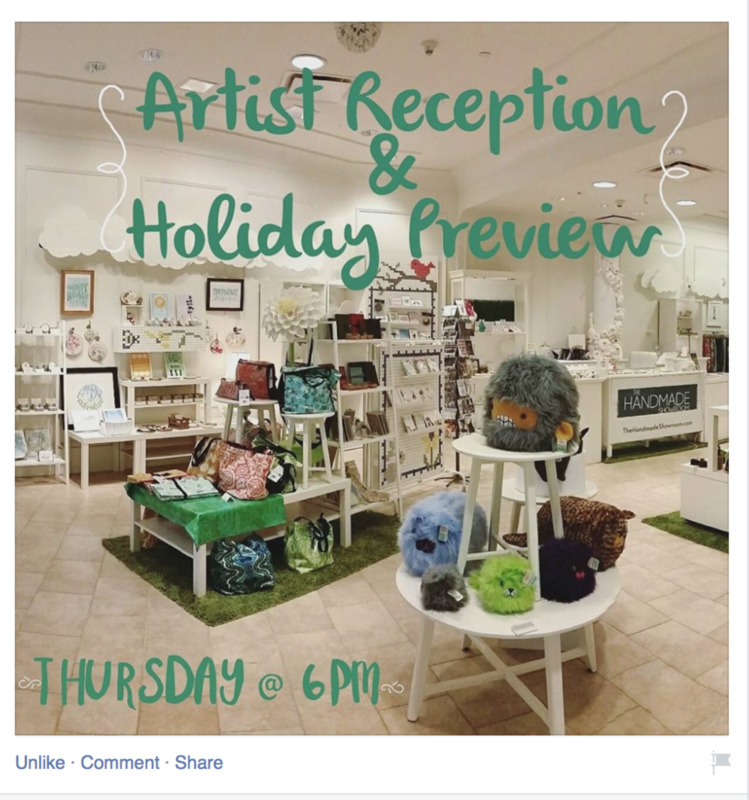 A couple weeks ago we mentioned that we had the honor of being on of The Handmade Showroom's inaugural artists! It looks like Seattle Refined has taken notice too! There are a few photos from the last showroom event. You can see some products by yours truly in a few of the photos. But there's nothing like seeing it in person! Be sure to mark your calendars for the next Handmade Showroom at Pacific Place. The next event is the first weekend of August. Our products are on display there through October. We hope to be able to be an in store artist in September or October. More on that soon! We wanted to say a special thanks to our friends and organizers of The Handmade Showroom - Marlo M. and the creative mastermind (Kayce) behind World of Whimm for taking on this adventure and bringing handmade makers work even further into the mainstream. One of my old 9-5 corporate job workday haunts is Pacific Place in Downtown Seattle. I often had lunches with clients and coworkers there. I might have ditched work early to see a movie once or twice too... It's an upscale shopping center that also has an assortment of restaurants and a cinema on the third floor. Starting this weekend Pacific Place will host the inaugural opening of The Handmade Showroom! 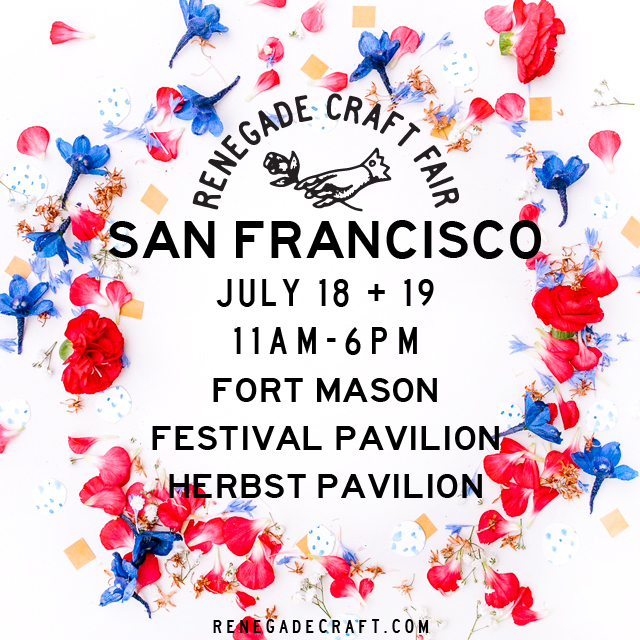 The fine folks from Pacific Place and Seattle Handmade have joined forces to create this awesome bi-monthly pop-up shop. The Handmade Showroom at Pacific Place Pop-up Shops will be held every 1st and 3rd weekend (Friday - Sunday) of the month June through October 2015. We are so fortunate to have been one of the first artists to vend at The Handmade Showroom. We will be offering, small versions of our laser cut wood signs, Washington State mini chalkboards and a selection of our wood magnets. It's so incredibly exciting to have a handmade shop among the ranks of upscale stores in downtown Seattle. We're absolutely thrilled to be apart of this great event! 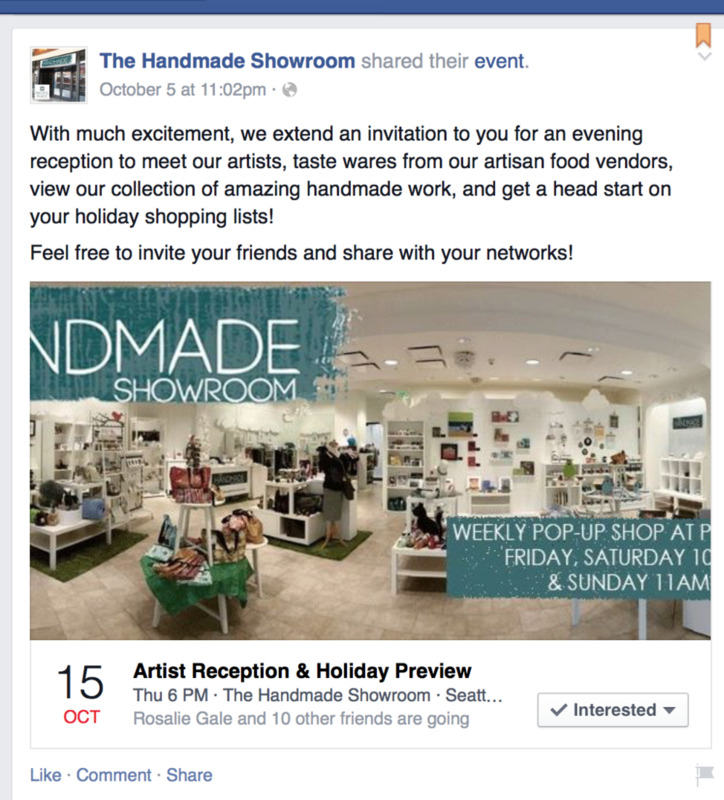 If you happen to be out and about in downtown Seattle this weekend please be sure to stop by The Handmade Showroom. Drag your dad along! (Our Beer Me signs will be available at the pop-up shop, grab him one and then go grab a beer with him!) If you can't make it this weekend be sure to mark your calendar for the future days the pop-up shop will be open. CreativeLive SEO for Etsy rebroadcast today and tomorrow! Not too long ago John and I were apart of the studio audience for a CreativeLive class that our friend Marlo taught. The topic was on SEO for Etsy. AND IT'S BEING REBROADCAST TODAY AND TOMORROW!!! (April 3 -4, 2015) Also it's on sale if you miss the rebroadcast. SO MUCH CAN BE LEARNED!!! Here are a few screen shots of John, our friend Cathy of Catshy Crafts and myself from the show. Screenshot from Marlo's class. We all had a really great time and learned a lot about back links, keywords and alternative selling sites. Screenshot from Marlo's class. Unfortunately, THERE ISN'T a screen shot of Marlo (she's super cute and totally adorable!) But we were trying to screen cap silly photos of ourselves. This one isn't silly. Cathy is super cute here and John and I look studious and official with our binders. Screenshot from Marlo's class. I do jibber jab for a few minutes though. I'm very passionate about watermarking all of your photos! And Pinterest, I'm a junkie. Like I said, we actually learned a boatload of stuff and have implemented what we learned in a quite a few things for our business. It's good to be sponges for knowledge. So if you have a moment today be sure to check out Marlo's class. She's the best. I might be biased... but I have been in the maker's movement for over a decade and I am still learning new things everyday. Marlo is a great instructor, we can't recommend her enough.